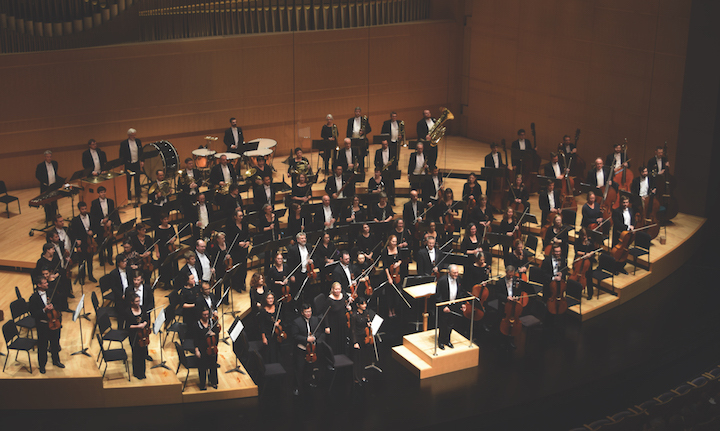 This weekend the Madison Symphony Orchestra (below, in a photo by Peter Rodgers) concludes its current season with “Mass Appeal,” a program that includes two first-ever performances. One work is the Piano Concerto No. 22 in E-Flat Major, K. 382, with Christopher O’Riley as the soloist. The other work is the massive “Glagolitic Mass” by the Czech composer Leos Janacek. The concerts are in Overture Hall of the Overture Center, 201 State St., on Friday, May 4, at 7:30 p.m.; Saturday, May 5, at 8 p.m.; and Sunday, May 6, at 2:30 p.m.
Tickets cost $18-$90. Ticket information is lower down. “Mozart’s opera Don Giovanni was completed in 1787. Mozart’s musical genius is evident in the subtle shadings of darkness he injects into even the most outwardly cheerful moments of the overture — which was most recently performed by the MSO in 2003. “Composed in December of 1785, Piano Concerto No. 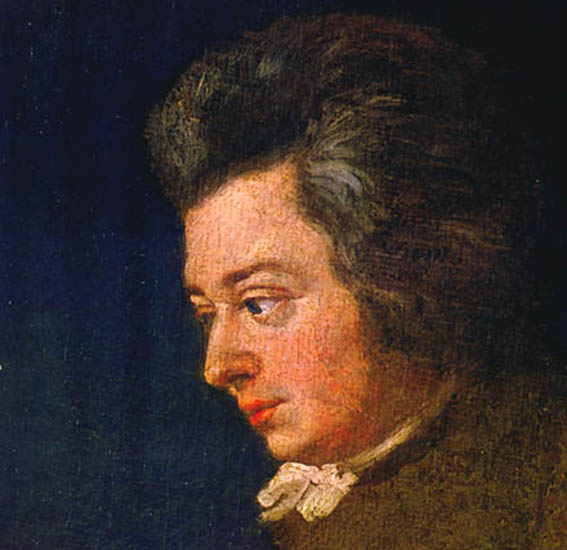 22 was the first concerto by Mozart (below) to include clarinets, his favorite woodwind, in its scoring. The concerto is considered to be a particularly elegant work, filled with ornate, often complicated, writing for the soloist that carries a natural sense of aristocratic poise. “The Glagolitic Mass, considered to be one of the century’s masterworks and Janacek’s finest choral work, has often been viewed as a celebration of Slavic culture. With text in Old Church Slavonic, the five movements correspond to the Roman Catholic Ordinary of the Mass, omitting “Dona nobis pacem” in the Agnus Dei. “The piece begins and closes with triumphant fanfares dominated by the brass and prominently features the organ throughout. 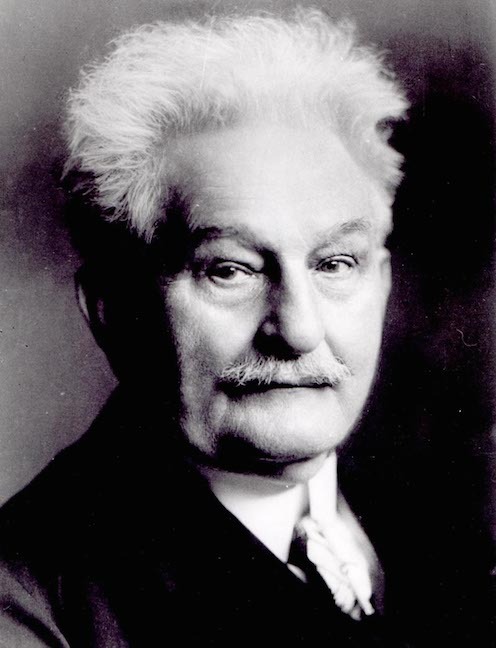 “Janacek (below) wanted it to be a Mass “without the gloom of the medieval monastic cells in the themes, without the same lines of imitation, without the tangled fugues of Bach, without the pathos of Beethoven, without the playfulness of Haydn,” rather he talks of the inspiration of nature and language. 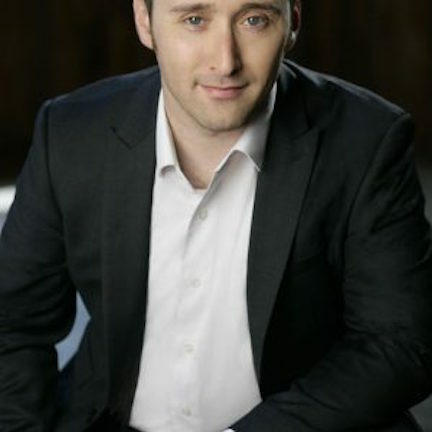 “Acclaimed for his engaging and deeply committed performances, pianist Christopher O’Riley (below, in a photo by Dan Williams) is known to millions as the host of NPR’s From the Top, which spotlights gifted young classical musicians. 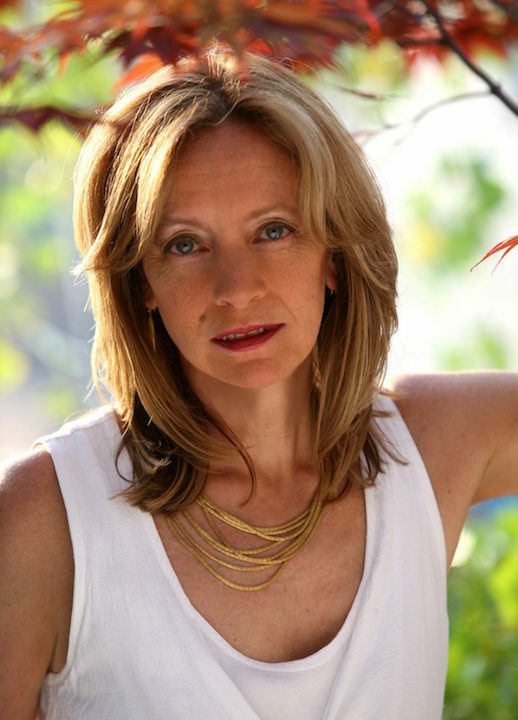 “O’Riley’s repertoire spans a kaleidoscopic array of music from pre-baroque to present-day. He performs around the world and has garnered widespread praise for his untiring efforts to reach new audiences. 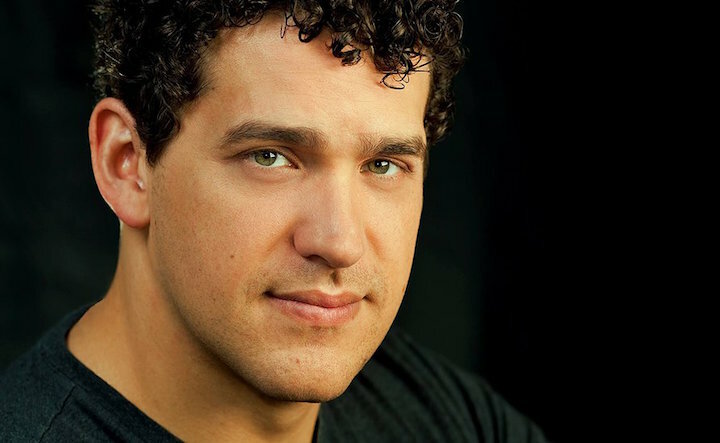 Christopher O’Riley has performed as a soloist with virtually all of the major American orchestras, including the New York Philharmonic, Los Angeles Philharmonic, Philadelphia Orchestra, Chicago Symphony, National Symphony, and San Francisco Symphony. 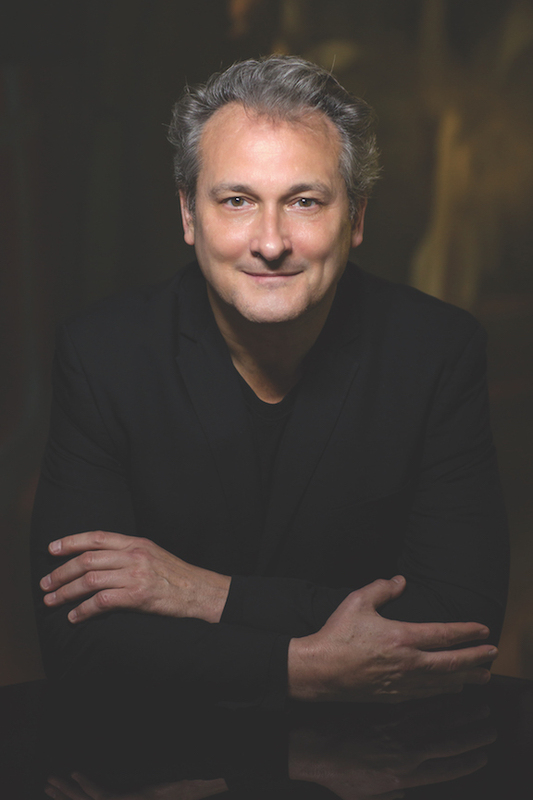 He last appeared with the Madison Symphony Orchestra in 1995, making for a highly anticipated return with his performance this season. 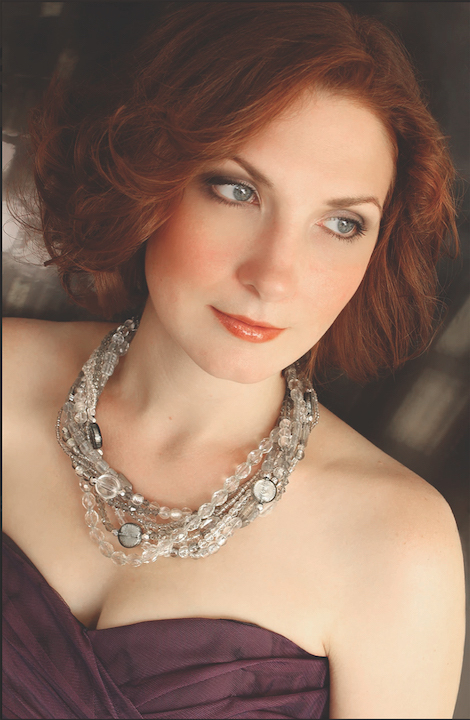 Soprano Rebecca Wilson (below, in a photo by Jeremy Lawson) has been praised as a “staggeringly talented singer” by St. Louis Magazine. 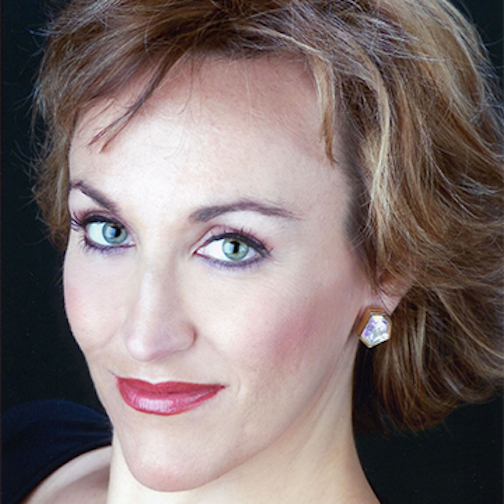 She has appeared with Union Avenue Opera, in the role of Gutrune in Richard Wagner’s Götterdämmerung (Twilight of the Gods) and has performed throughout the Chicago area in many roles. 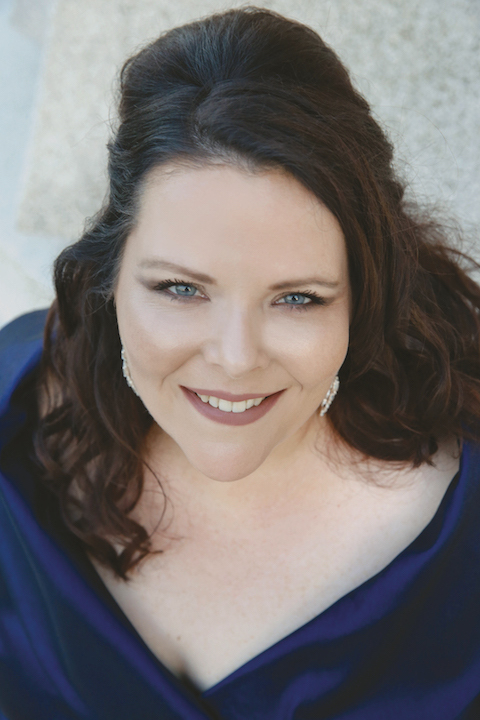 Hailed as possessing a voice of “spell-binding power and intensity” (The Register-Guard), mezzo-soprano Julie Miller (below, in a photo by Devon Cass) has appeared as a soloist with many orchestras and in many major concert halls across the country. 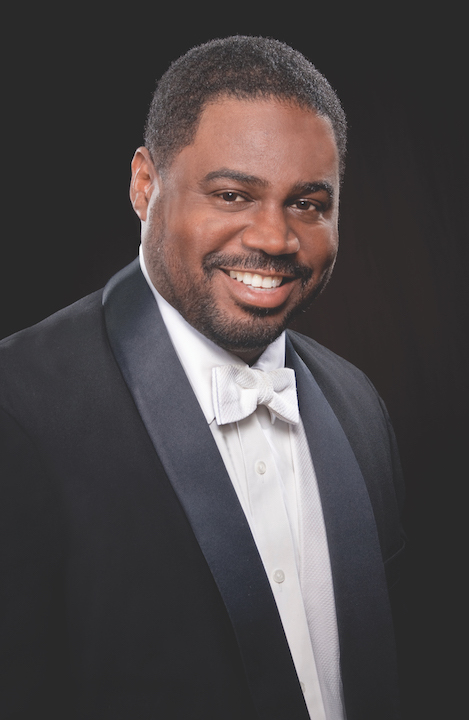 Tenor Rodrick Dixon (below, in a photo by Dan Demetriad) is a classical crossover artist who possesses a voice of extraordinary range and versatility. His body of work covers 25 years of television, recordings, live theater and concerts, including PBS Specials with tenors Victor Cook, and Thomas Young; “Hallelujah Broadway,” starring his wife, Alfreda Burke; the Miss World Pageant broadcast from China and Washington, D.C., on the “E” channel in 126 countries. Dixon recently appeared in the annual Freedom Awards. 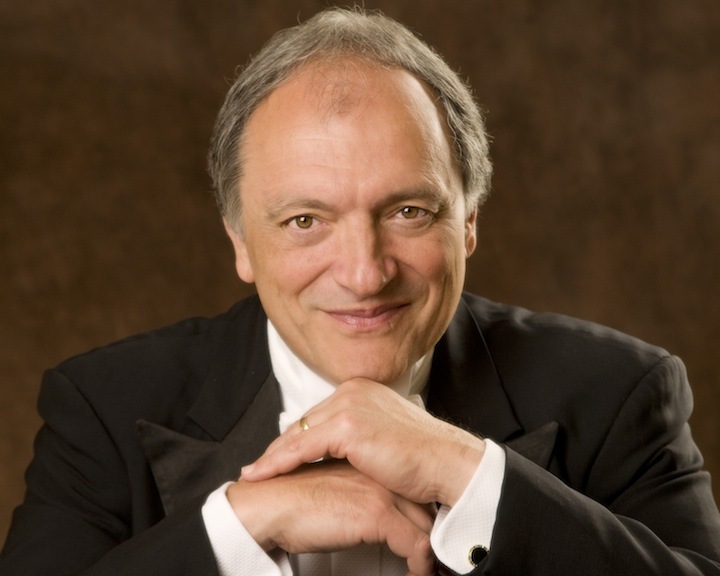 His eclectic discography includes recordings for Sony BMG, EMI Records and Naxos. 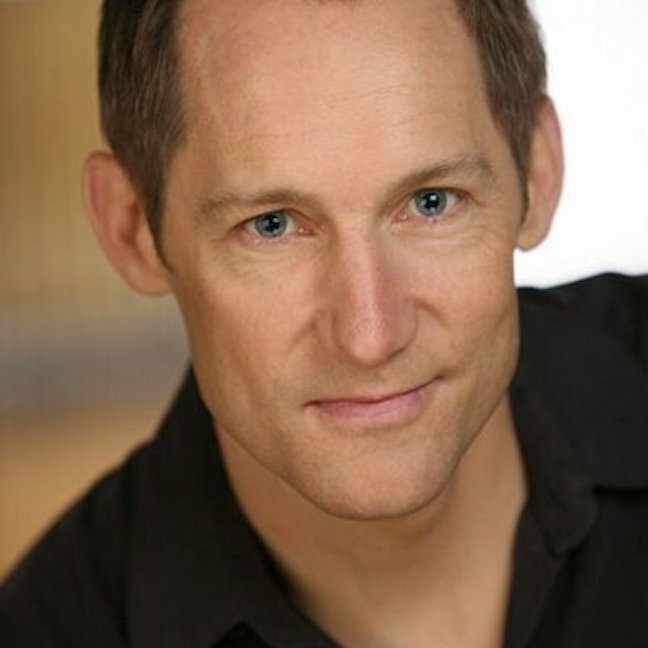 Bass Benjamin Sieverding (below, in a photo by Lu Zang) has been recognized by critics nationwide for his “surprising depth” (Boulder Daily Camera), as well as his “natural gift for comedy” and “full, rich sound” (Ann Arbor Observer). 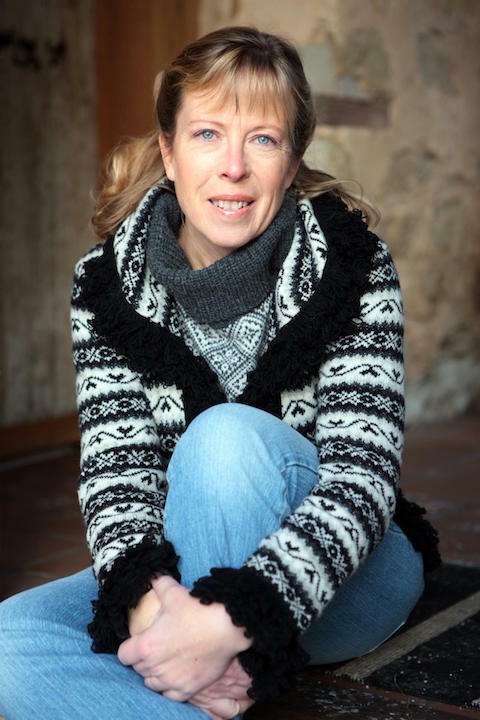 As an active soloist and recitalist, Sieverding performs both regionally and internationally. 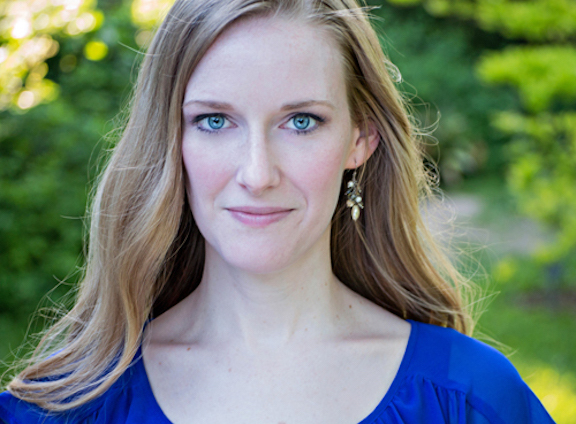 Sieverding is a three-time district winner and regional finalist of the Metropolitan Opera National Council Auditions. 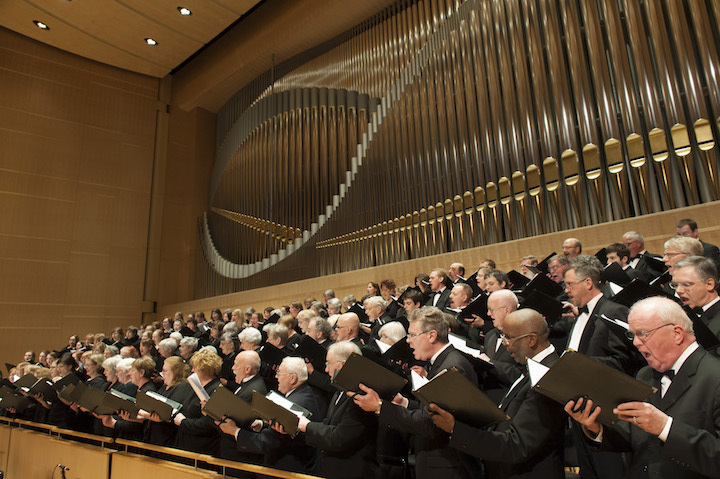 The Madison Symphony Chorus (below, in a photo by Greg Anderson) gave its first public performance on February 23, 1928, and has performed regularly with the Madison Symphony Orchestra ever since. 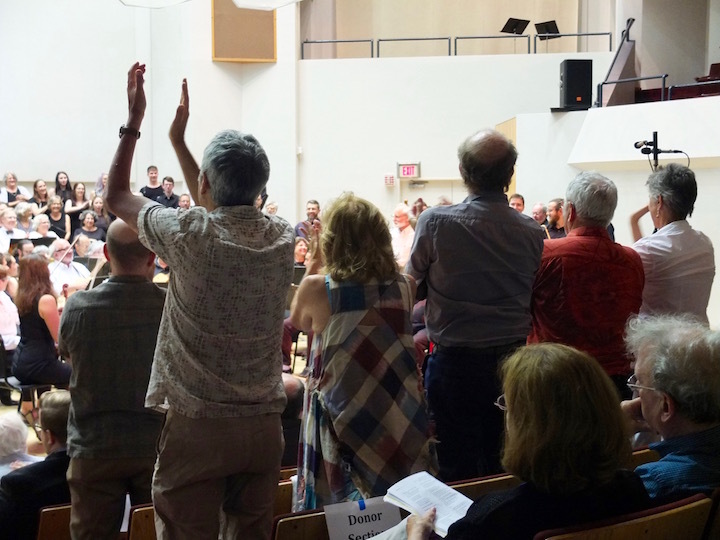 The chorus (below) is directed by MSO assistant conductor Beverly Taylor and is comprised of more than 150 volunteer musicians who come from all walks of life and enjoy combining their artistic talent. 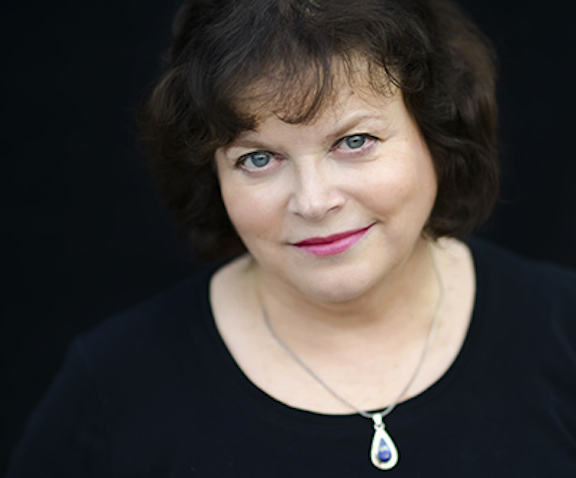 One hour before each performance, Beverly Taylor (below), Director of Choral Activities and Professor at the UW-Madison,will lead a 30-minute Prelude Discussion in Overture Hall to enhance concertgoers’ understanding and listening experience. The Symphony recommends concert attendees arrive early for each performance to make sure they have time to pass through Overture Center’s security stations, and so they can experience the pre-concert talk (free for all ticket-holders). Single Tickets for the 2017–2018 season finale May concerts are $18-$90 each and are on sale now at https://www.madisonsymphony.org/singletickets, through the Overture Center Box Office at 201 State Street, or by calling the Box Office at (608) 258-4141. Groups of 15 or more can save 25% by calling the MSO office at (608) 257-3734. For more information, visit https://www.madisonsymphony.org/groups. Major funding for the May concerts is provided by Mirror 34 Productions, Fiore Companies, Inc., the Steinhauer Charitable Trust, Diane Ballweg, and WPS Health Solutions. 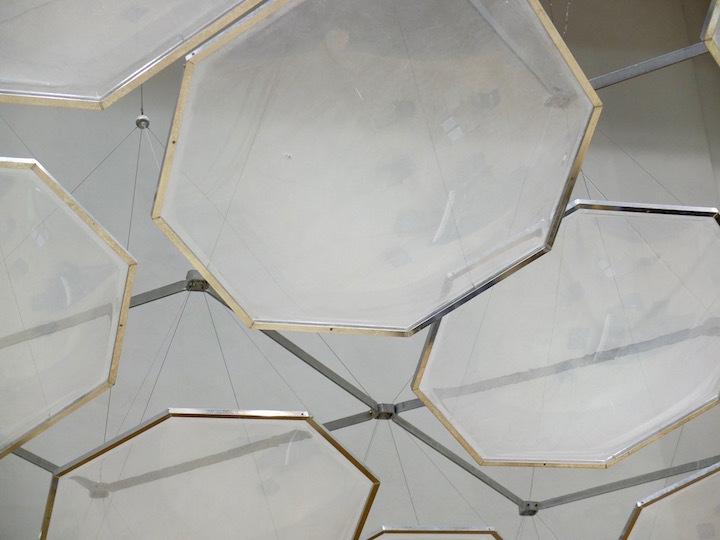 Additional funding provided by Carla and Fernando Alvarado, Forte Research Systems and Nimblify, William Wilcox and Julie Porto, and Wisconsin Arts Board with funds from the State of Wisconsin and the National Endowment for the Arts. 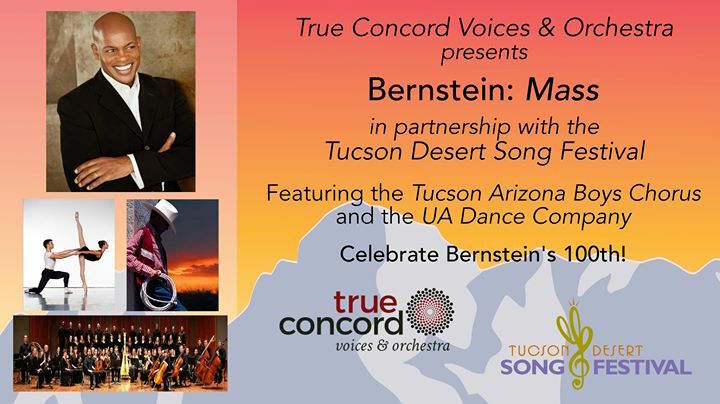 Classical music: Tucson celebrates the Leonard Bernstein centennial. Why not Madison? Editor’s note: Larry Wells, better known as The Opera Guy who writes for this blog, recently spent time in Tucson, Arizona, where he attended many events celebrating the Leonard Bernstein centennial. Tucson isn’t alone. This fall has seen many similar celebrations, including those in New York City, San Francisco, Chicago, Washington, D.C. and Milwaukee. But curiously there has been little in Madison. Perhaps that will change next season. At least this week will see a FREE concert by the UW-Madison Wind Ensemble this Wednesday night, Feb. 21, in Mills Hall. 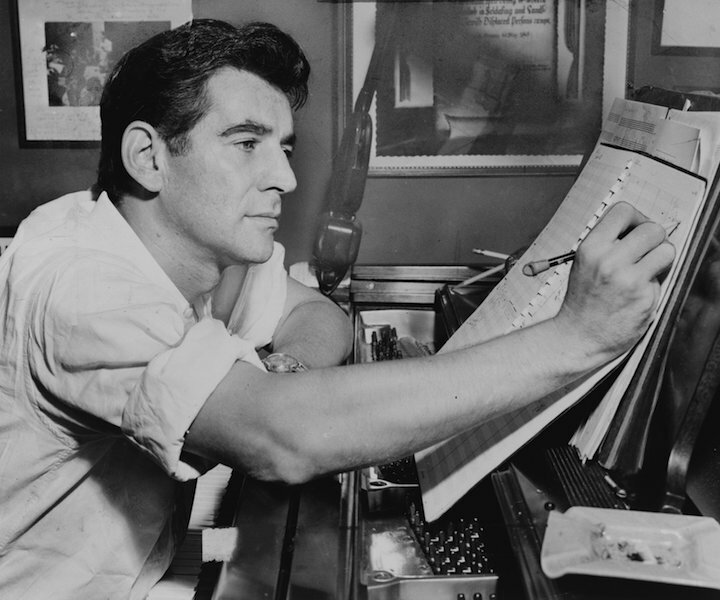 The mixed program with other composers features “Profanation” from Bernstein’s Symphony No. 1. I recently spent a few weeks in Tucson. 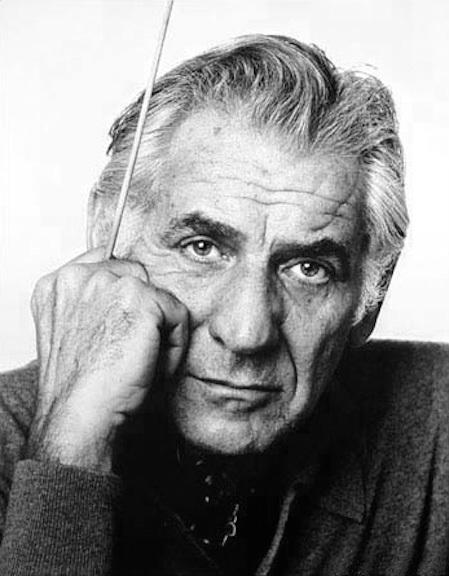 Part of that time happily coincided with the annual Tucson Desert Song Festival which this year commemorated the 100th anniversary of the birth of Leonard Bernstein (below, in a photo by Jack Mitchell). I was able to attend 13 of the performances and was struck by the consistently intelligent programming, large audiences, and high performance standards. 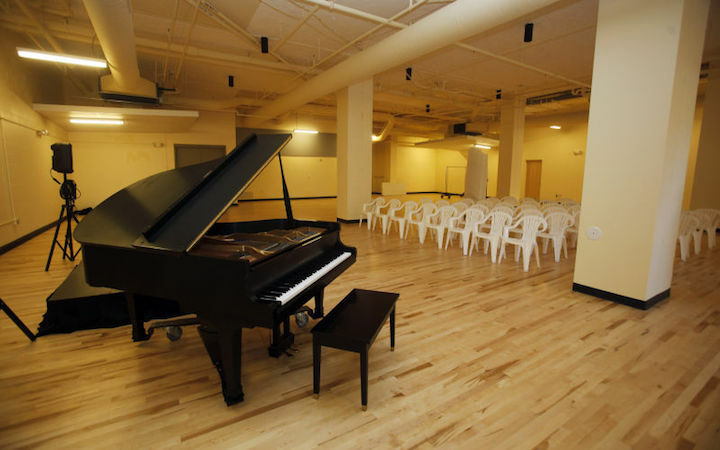 Many of the events were held at the Fred Fox School of Music at the University of Arizona. 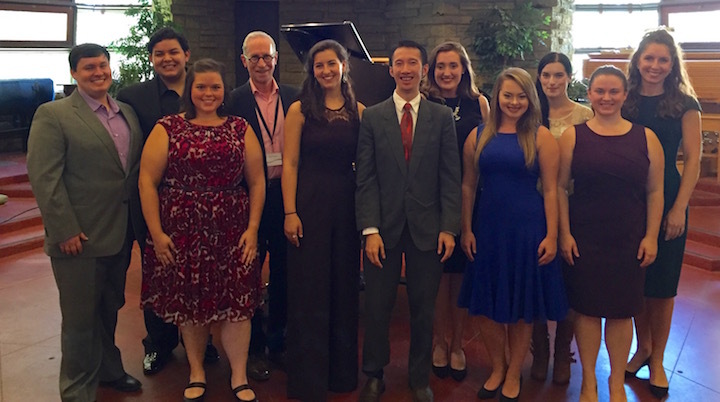 Some of these involved talented student and faculty singers performing Bernstein’s Broadway songs as well as his more serious vocal works. 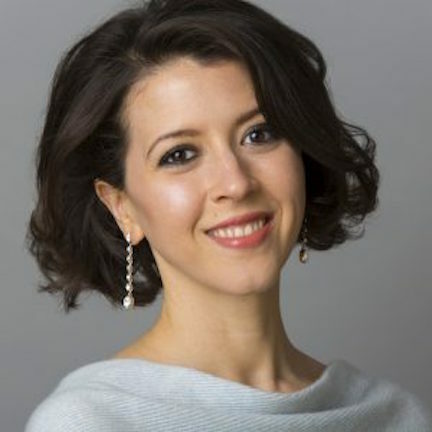 The venue also hosted outstanding recitals by Metropolitan Opera veterans Jennifer Johnson Cano (below top) and Lisette Oropesa (below bottom). 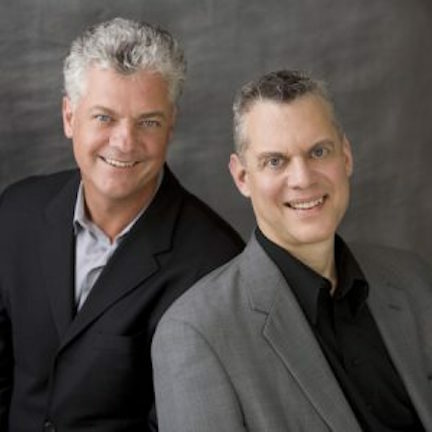 One of the highlights was a recital by dual pianists Steven Bleier (below top, on right) and Michael Barrett (below top, on left), founders of the New York Festival of Song. 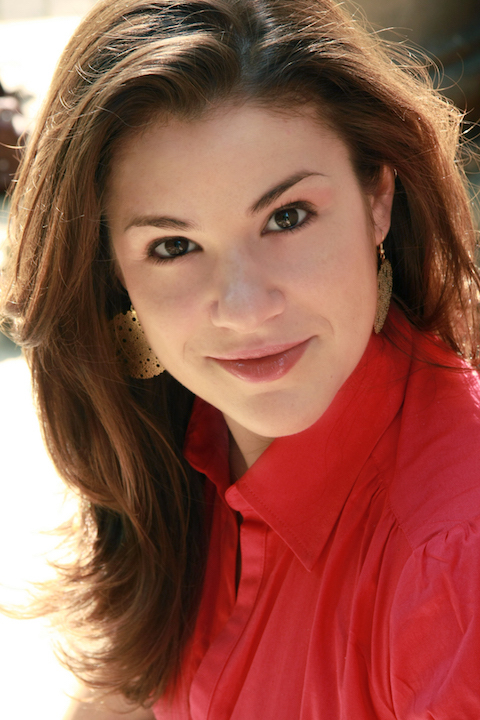 Their program included Bernstein’s final song cycle “Arias and Barcarolles” featuring the very talented Joshua Jeremiah (below middle) and Rebecca Jo Loeb (below bottom). 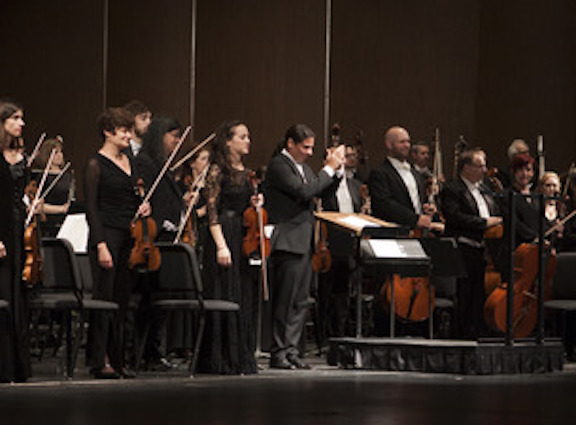 The Tucson Symphony Orchestra (below), under the direction of its new conductor José Luis Gomez, filled the cavernous Tucson Music Hall for two performances of Bernstein’s underperformed Symphony No. 3 “Kaddish.” Joined by the symphony’s outstanding chorus, the Tucson Arizona Boys Chorus, and soprano Kelley Nassief this monumental work was electrifying. The many percussionists were given a good aerobic workout, and the audience seemed hypnotized. The only flaw was the narration rewritten and delivered by Bernstein’s daughter Jamie. The original narration by the composer is a monologue between a man and his god. 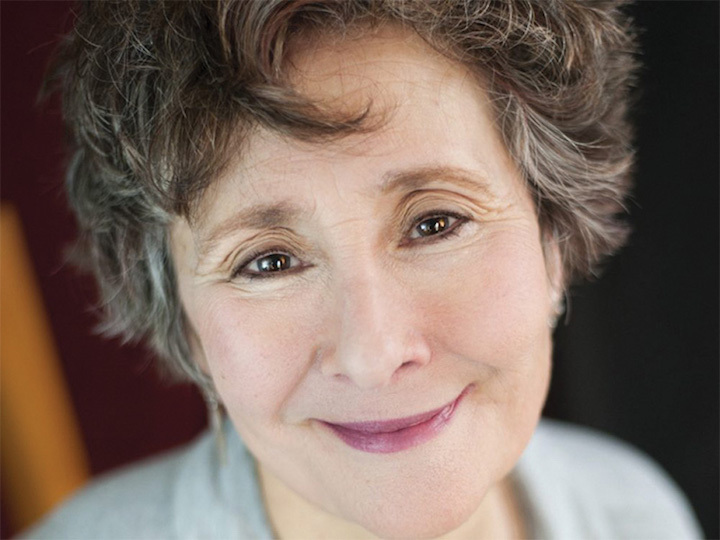 Ms. Bernstein’s narration changed the tone to that of a daughter speaking about her father. For someone familiar with the work, I felt somewhat cheated that I was not hearing the work as it had been composed. Still it was a total delight to hear a live performance of a work that should be heard far more often than it is. 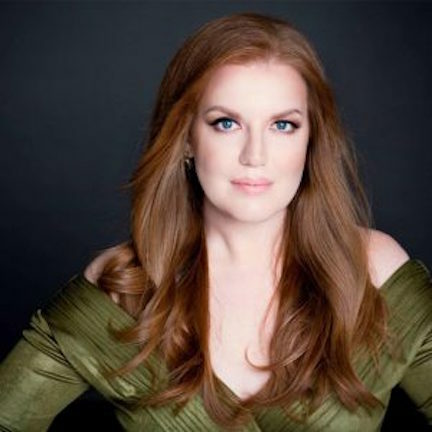 The Tucson Symphony Orchestra offered a second program which featured a sparkling performance of Bernstein’s opera “Trouble in Tahiti” with the widely-praised, and rightly so, mezzo-soprano Sasha Cooke (below in a photo by Dario Acosta). Ballet Tucson offered a somewhat strange program featuring Bernstein songs beautifully performed by Cadie Jordan (below top) and David Margulis (below bottom, in a photo by Kristin Hoebermann). Sometimes they were accompanied by dancers and sometimes not. Then, after a number of these songs, a recording came on of portions of the suite from Bernstein’s score for the film “On the Waterfront” with dancers performing a sort of “Romeo and Juliet” narrative. It didn’t seem to make any cohesive sense, but it was fun to watch and the quality of the music never faltered. Two other large events were the Arizona Opera’s “Candide” and Tucson’s resident chorus True Concord’s MASS. I attended the premiere of “Candide” (below) which was also performed in the vast Tucson Music Hall. 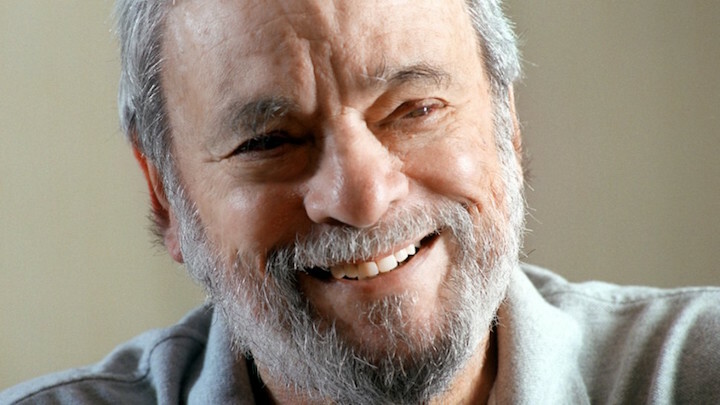 I had only seen it performed once before, and that was the charming, witty, and intimate Harold Prince version. 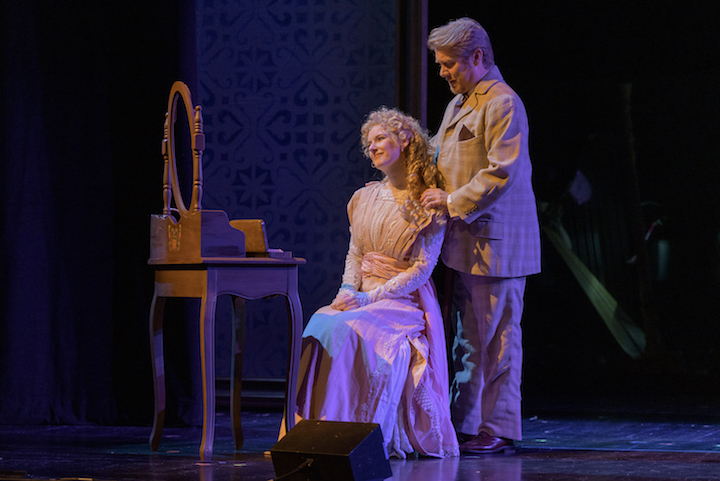 The Tucson version was one of the overlong operatic versions that featured additional musical numbers, which was a good thing, but wordy spoken dialogue that was unfortunately under-amplified. 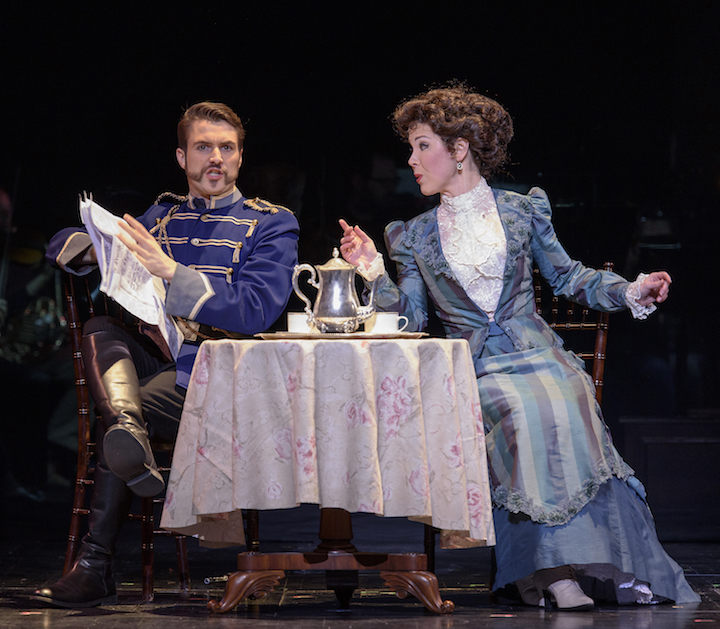 Therefore, unless someone was very familiar with the work, the production was a long string of seemingly unrelated musical numbers linked by incomprehensible spoken dialogue. MASS (poster with scenes is below) was performed in what is termed as the ‘Chamber Version.’ I was apprehensive that somehow the musical content would be diminished, but my worries turned out to be unfounded and the performance was uniformly dynamic and engaging. True Concord is an outstanding choral group, and its leader Eric Holtan led a thoroughly engaging and moving performance of this monumental work. I was so taken by the first performance that I attended the second as well. Both performances filled the huge Centennial Hall. Besides the orchestra and chorus the work features a celebrant, in this case the appropriately named Jubilant Sykes, an ensemble of vocal soloists, a boys chorus and dancers. The choreographers decided to add an additional layer of complexity to an already complex work by having some of the dancers portray Rose, Jacqueline and Caroline Kennedy as well as what I think was supposed to be the spirit of JFK. This was not part of the original work, and I felt it was superfluous to an already multifaceted work. But the audience loved it all, and it turns out that Madison is not the only city that seems to give everything a standing ovation. The takeaway moment of the festival occurred during a discussion involving composer Dan Asia, the festival director and conductor George Hanson, and Jamie Bernstein. When asked how younger audiences can be lured into concert halls, all three of them immediately concurred that the answer is to program 20th-century music. They claim that any time 20th-century music is programmed, ticket sales increase. My experience at this festival was that large venues were consistently filled with audiences of all ages. This is something for Madison to think about. Classical music: A long-lost American opera about Tabasco makes a fiery return to New Orleans. Are you burning to hear it? 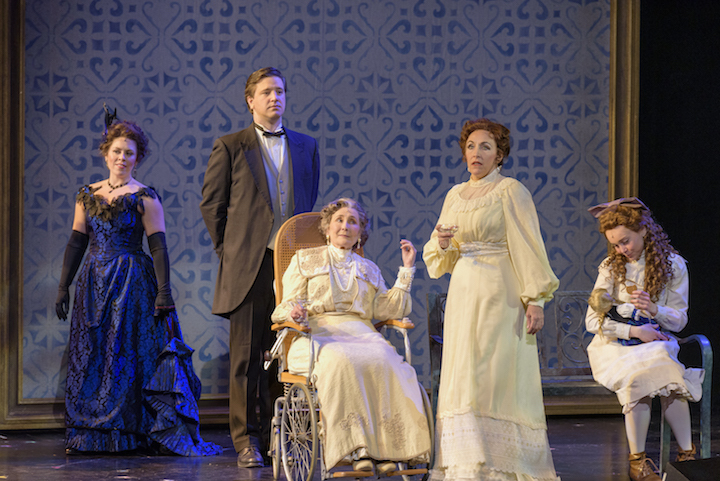 It seems it’s time to revise the history of American opera. 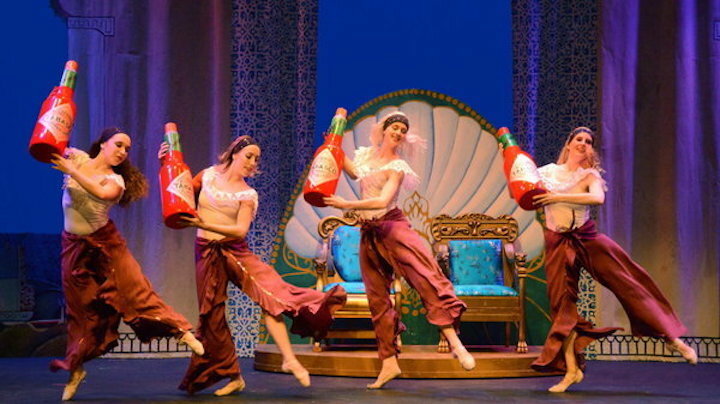 That is due to the recent rediscovery of a lost 1894 opera about Tabasco (below, in photo by Tim Grosscup for New Orleans Opera) – that famous Southern hot sauce – that sheds a new light on that history. The musical score, which had been lost for more than a century, was rediscovered in 2009 and has now received a fiery revival in its natural home — New Orleans, which also happens to have the oldest opera company in the United States. 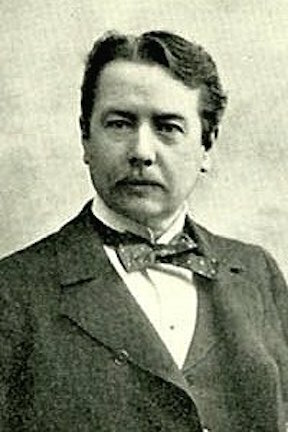 The music was written by the American composer George Whitefield Chadwick (below). You can hear the Overture to the “burlesque opera” in the YouTube video at the bottom. The libretto’s plot focuses on an Irish traveler who gets lost at sea and ends up as a chef in Morocco where the famous hot sauce pleases the Pasha who has captured him and so saves the traveler’s fate. The opera was premiered in Boston, then went for a run on Broadway and toured to dozens of cities. Of course, one still wonders if the opera will receive performance elsewhere these days. But that is another question for another day. In the meantime, here is a fine story, with a sound sample, from National Public Radio (NPR) about the opera and its historical and artistic significance. It’s going to be a busy week at the University of Wisconsin-Madison’s Mead Witter School of Music. And especially if you are a fan of choral music, there is much to attract you. 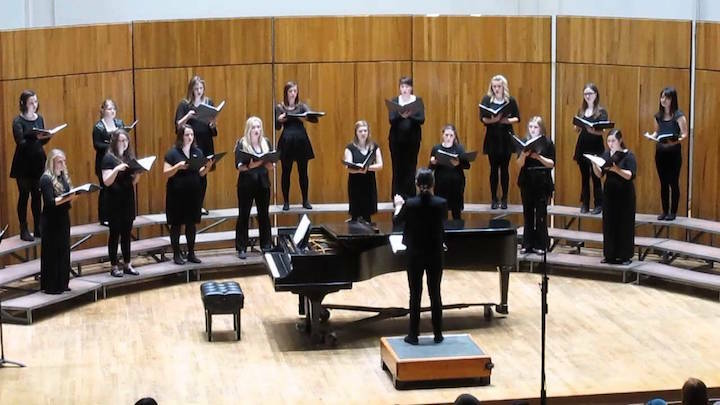 At 3 p.m. in Mills Hall is a FREE concert of Combined Choirs that features the Women’s Chorus (below), the University Chorus and the Masters Singers. Sorry, no word about the program, but the groups’ past record suggests excellent programs are in store. 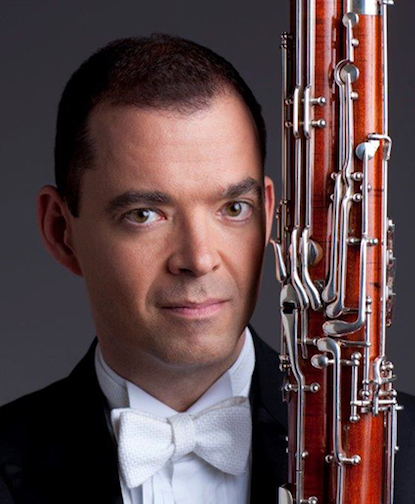 From noon to 1:30 p.m. in Morphy Recital Hall, William Buchman (below), who is assistant principal bassoon of the Chicago Symphony Orchestra and a faculty member at DePaul University in Chicago, will give a master class that is FREE and OPEN TO THE PUBLIC. 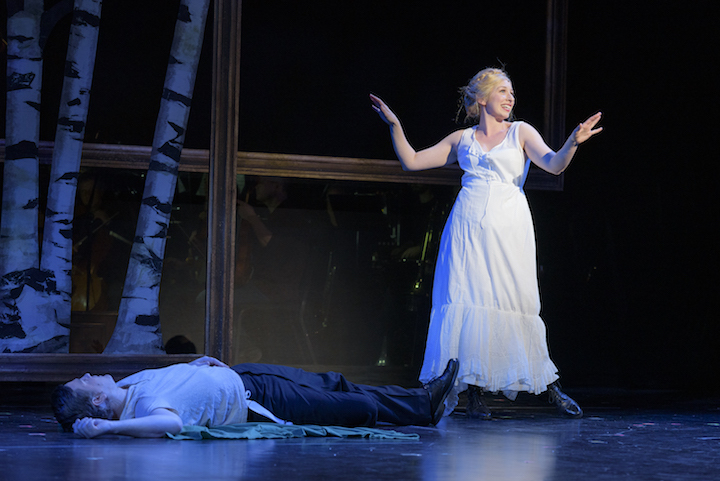 At 7:30 p.m. in Music Hall on Bascom Hill, University Opera a FREE Fall Opera Scenes program with UW student singers (below form last year). 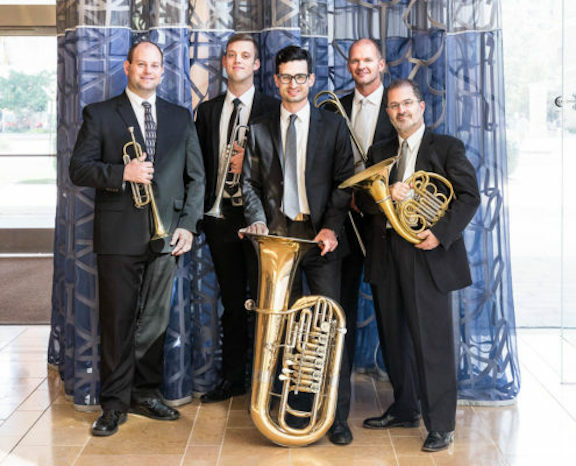 At 7:30 p.m. in Mills Hall, the Wisconsin Brass Quintet (below, in a photo by Michael R. Anderson) will give a FREE concert. Members of the faculty ensemble are Alex Noppe and Matthew Onstad, trumpets; Mark Hetzler, trombone; Tom Curry, tuba; and Daniel Grabois, horn. 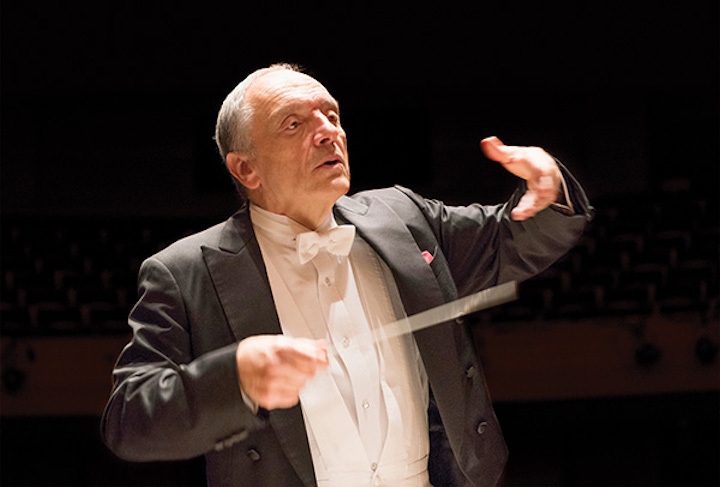 The program includes: Johann Schein: Three Psalm Settings; Peter Maxwell Davies, arr. 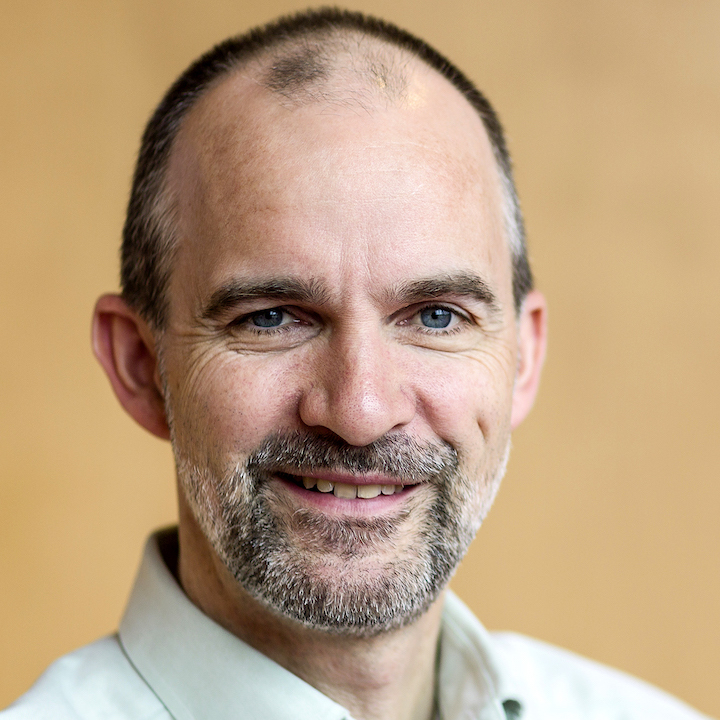 Matthew Onstad: “Farewell to Stromness” (1980), from The Yellow Cake Review; Jan Radzynski: Take Five (1984); Gunther Schuller’s Music for Brass Quintet (1961); and Alvin Etler’s Quintet for Brass Instruments (1966). 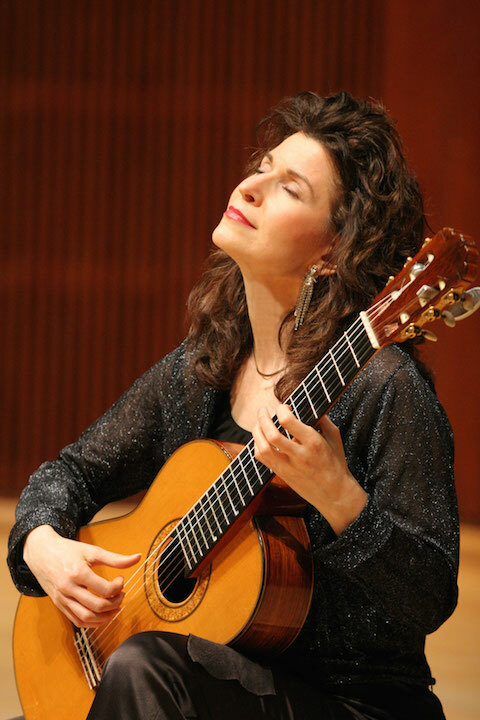 From 10 a.m. until noon in Morphy Recital Hall, the acclaimed Grammy Award-winning guitarist Sharon Isbin (below), who will perform with the Madison Symphony Orchestra this coming weekend, will give a FREE master class that is OPEN TO THE PUBLIC. At 8 p.m. in Mills Hall, the Madrigal Singers (below top), under conductor Bruce Gladstone (below bottom, in a photo by Katrin Talbot), will present Part 2 of “Israelsbrünnlein” (Fountains of Israel) by the Baroque composer Johann Hermann Schein. 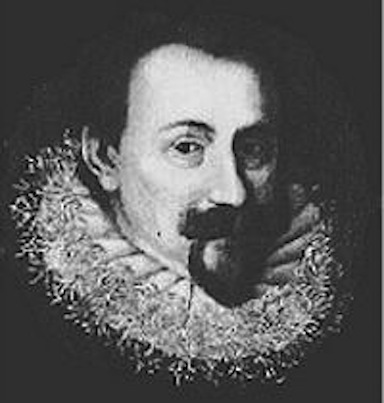 According to program notes, “Johann Hermann Schein’s collection of 26 motets from 1623 has long been considered the most important set of motets in the early 17th century. Schein (below), frustrated that there wasn’t a true counterpart of the Italian madrigal to be found in German music, set out to marry the expressiveness of the madrigal to German texts. “In this case, he chose to set sacred and mostly biblical texts, rather than the secular poetry found in most madrigals. His set of spiritual madrigals display both moments of pure joy and exultation as well as heartbreaking sadness and longing. “Last fall, the Madrigal Singers presented the first 13 of these motets, and this fall, we finish out the collection with motets 14-26. 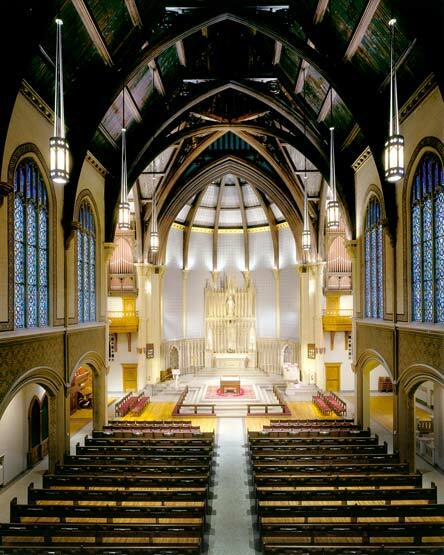 At 8 p.m., in Luther Memorial Church (below), 1021 University Avenue, the Low Brass Ensemble will give a FREE recital. No word on composers or pieces on the program. Programs notes read: “Music has always had a way to touch our souls the way other things cannot. When paired with poetry that speaks honestly to the human condition, it can lift us out of the merely abstract, touching our souls and offering insight on how we can be better at being human and humane. “Also on the program is Joshua Shank’s “Rules To Live By,” a heartfelt and moving piece whose text was written by the commissioning ensemble. At 5 p.m., in Mills Hall, the UW-Madison Wind Ensemble (below top) and Winds of Wisconsin will give a FREE joint concert. 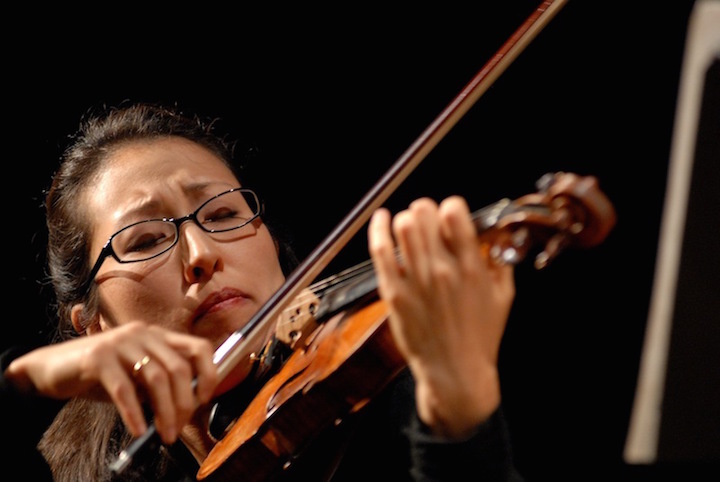 Scott Teeple will conduct with guest violinist, Professor Soh-Hyun Altino (below bottom, in a photo by Caroline Bittencourt) soloing. 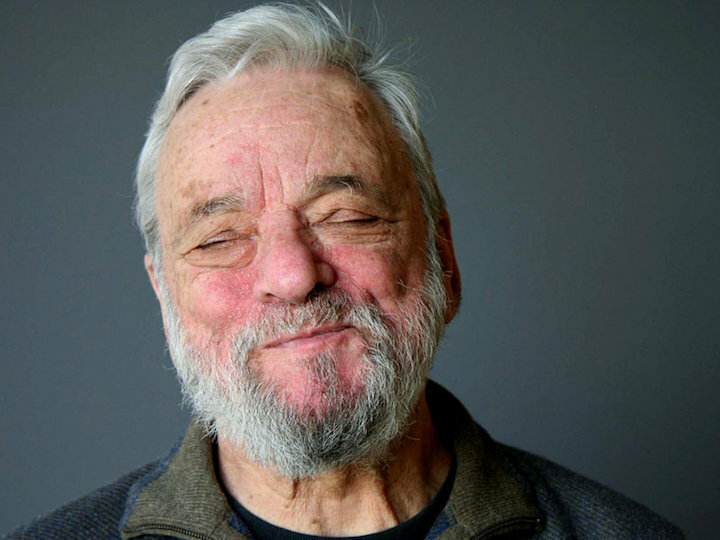 “As I have aged, I have become more of a curmudgeon. (My friends and family will readily attest to this.) It is in that spirit that I address some annoyances I have been experiencing over the past few years while attending musical events in Madison. “I will start with a recent experience, attending University Opera’s performances of “A Kurt Weill Cabaret” at Music Hall (below). The two arms of any seat in the hall have two different numbers. Unless the guest was paying attention as he entered the row, it is unclear which number belongs to which seat. After attending a few shows there, I have figured it out. But I don’t believe I have ever been to a performance there when there hasn’t been confusion about which seat is which. I have routinely heard people asking others (who are generally equally clueless), and I have routinely seen blocks of people shift over one seat. You would think that someone at a great educational institution could figure out a way to make the seating less baffling. 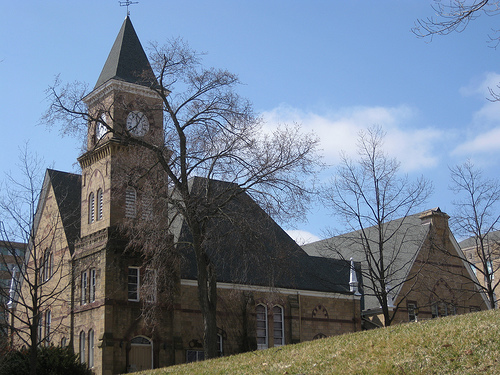 “An equally annoying phenomenon occurs regularly at Mills Hall, also on campus. I discovered that, for choral concerts particularly, the sound in the balcony is far better than the sound on the main floor. However, the doors of the balcony are often locked and the ushers regularly say that the balcony is not open. Upon making further insistent inquiries, I usually manage to get someone to unlock the balcony, but I wonder why it is felt that unlocking it routinely is such an onerous task. “I will also mention that, regardless of one’s seat location in Mills Hall, it is difficult not to notice that the sound clouds over the stage are in sore need of a dusting and cleaning. “At the aforementioned performances in the Music Hall (I went twice), I saw people texting and video recording the performance even though the program has, in very small print, an admonishment not to photograph or film. 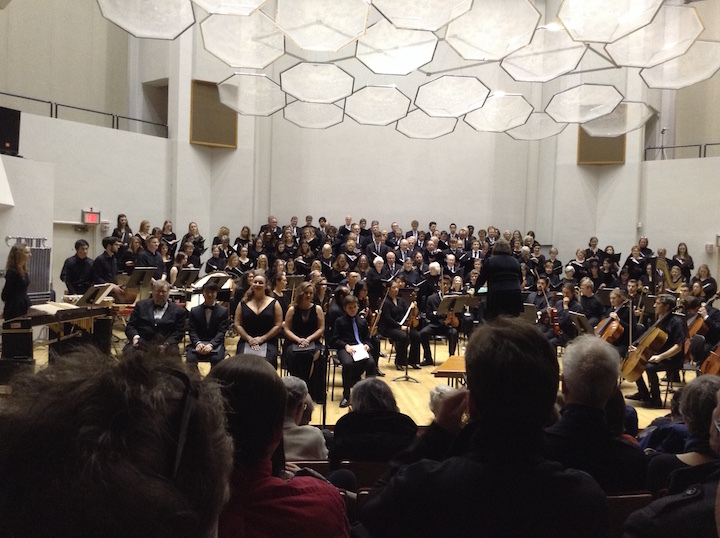 At a recent choral concert in Mills Hall, texting was rampant during the performance, and there was no mention about turning off cell phones in the program. The bright screens immediately draw the eye away from the stage. I find it extremely distracting. “At performances given by the UW Dance Department, a loud and forceful announcement at the beginning of each performance instructs the audience to turn off cell phones, no texting, no photos, etc. A similar announcement takes place not only at the beginning of the concert but also at the end of intermissions for performances at Overture Center. I think it is time for the UW Music Department to address the issue in a similar way. “Another criticism of the way that things are done by the Music Department: Why is it so hard to find out what is being performed at a recital or concert? The Music Department has a good website with a calendar that lists the performances being given on any day, but many times the program is not included in that information. I am disinclined to go to a concert when I don’t know what the program is, and I often will go to a performance just to hear one work if it’s one I am anxious to hear. Thus, I often have to go roaming around the Music Building looking for posters or sometimes even going to the person sponsoring the performance to ask what the program is. It shouldn’t be that hard. 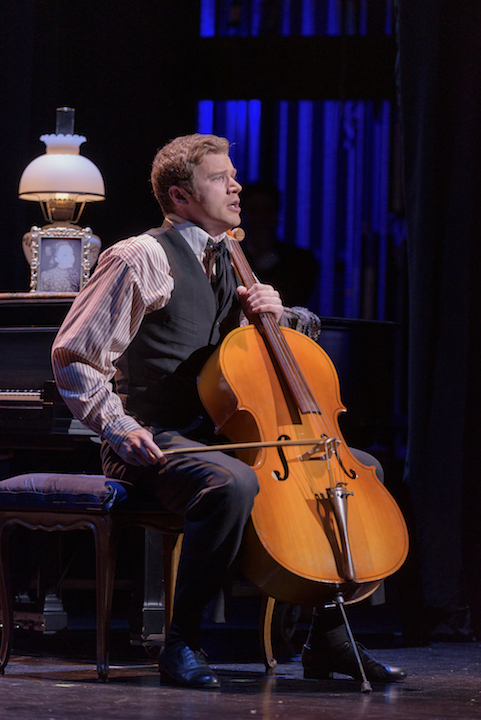 “An issue at Overture Center is whispering. 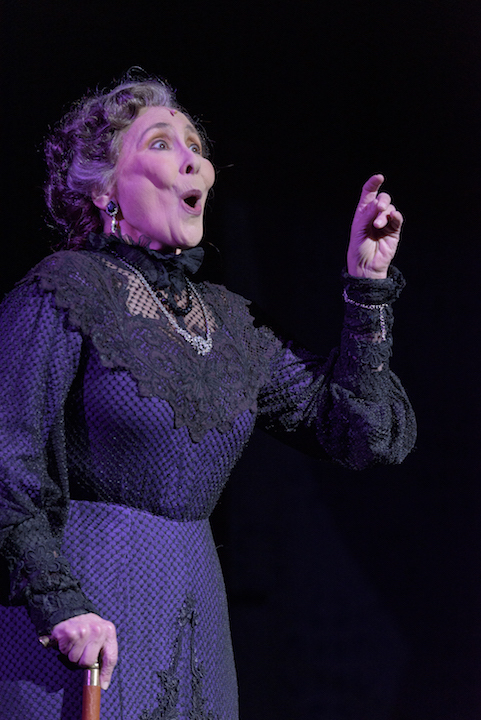 I do not understand how people have lived to the ripe old ages that most of the audience members have and not come to realize that whispering is still audible. 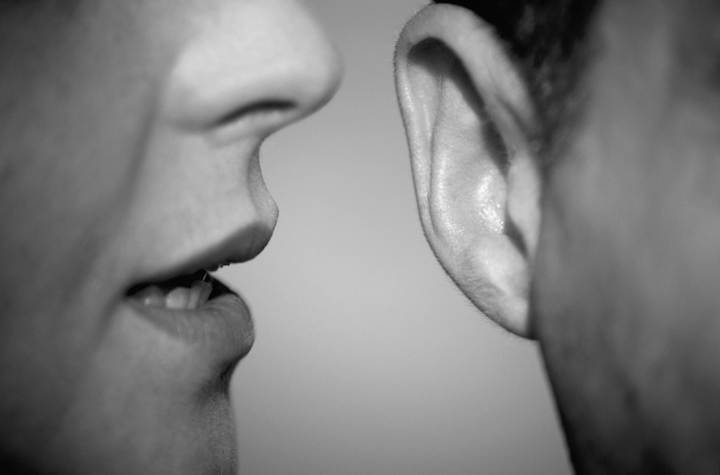 “Two seats away from me at Overture Hall for my symphony subscription is a woman who, at every single performance, starts to cough as soon as the music begins, noisily unzips her purse, reaches in and fumbles around until she finds her cough drop, and then noisily unwraps its cellophane cover. Every time. It is a wonderment to me that she has not discovered that she could unwrap the cough drops in advance and have them at the ready. 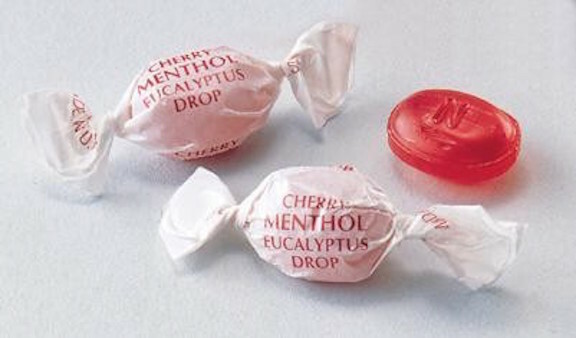 “When I subscribed to the San Francisco Symphony, there were bowls of wax paper wrapped cough drops at every entrance. Not a bad idea. 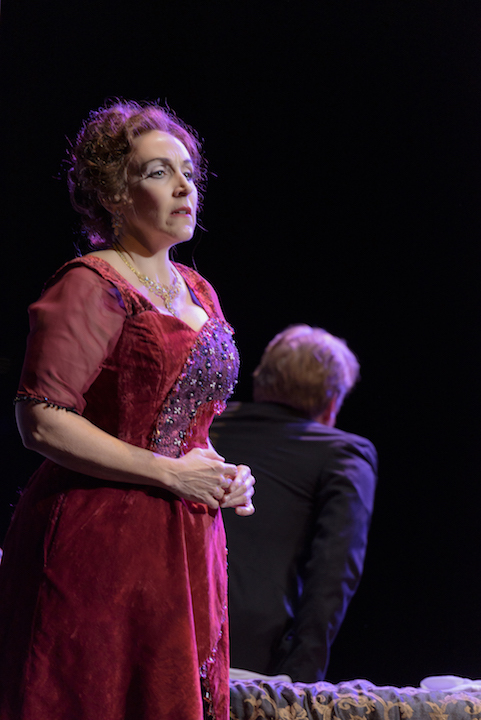 “And then there is the seemingly obligatory standing ovation syndrome that has become a standard feature of every performance in Madison. In the rest of the world a standing ovation is reserved for an extraordinary performance deserving special recognition. Here I think of Pavlov’s dog and sheep. The performance ends, one person leaps to his feet (that’s the Pavlov part) and everyone else stands (that’s the sheep). At the same time the sentiment has been lost, and it all seems rather provincial to me. Do you agree with any of these complaints? Do you have any major or minor complaints to add? 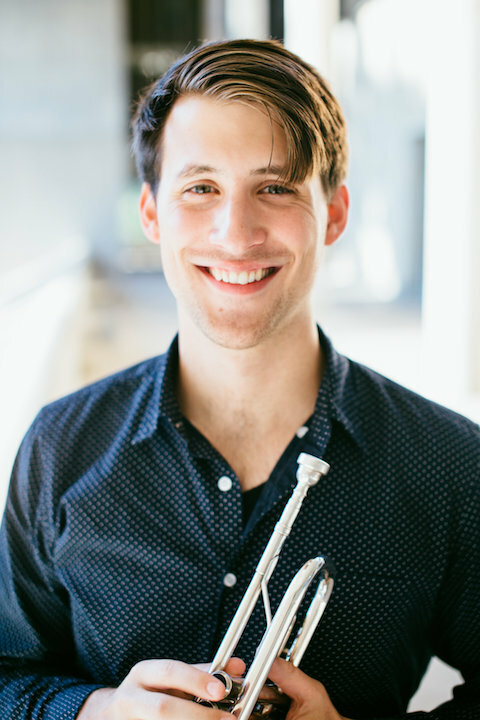 On this Saturday night, July 29, at 7 p.m., trumpeter Ansel Norris and pianist Beth Wilson will perform a FREE recital of vocal music in an unusual format — for solo trumpet and piano, with the poetry that inspired the music spoken in between each song. 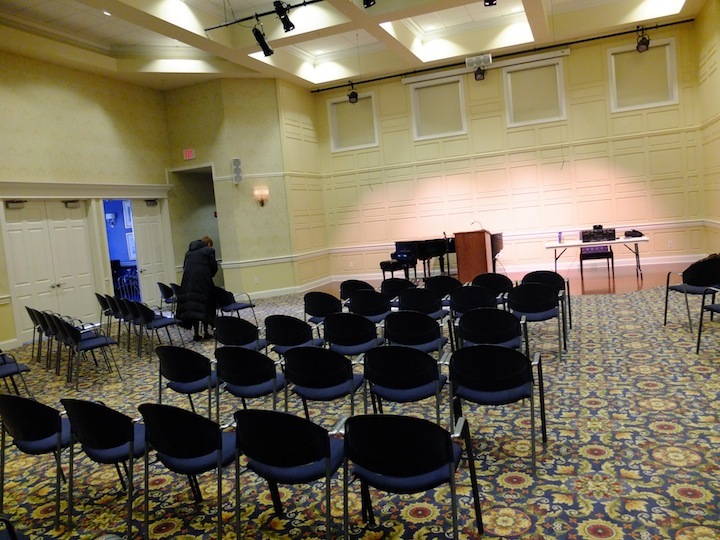 The recital, in the Grand Hall at Capitol Lakes Retirement Community, 333 West Main Street, downtown and three blocks off the Capitol Square. Ansel Norris grew up on the east side of Madison, and last set foot in Capitol Lakes (below) in the spring of 2010, for his graduation recital. In recent years, he has distinguished himself as a soloist, orchestral and chamber musician of enthusiasm and diverse taste. 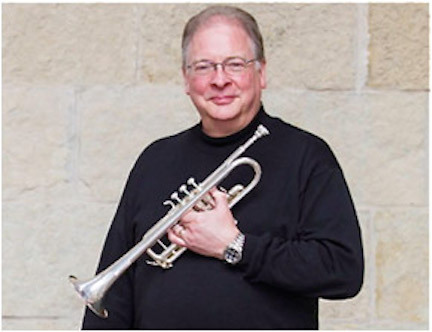 Norris has won a number of prizes as a soloist, including first-prize twice in the National Trumpet Competition, and has drawn acclaim as an orchestral player, performing with the Chicago and Boston Symphonies and holding a fellowship with the New World Symphony in Miami Beach, Florida. 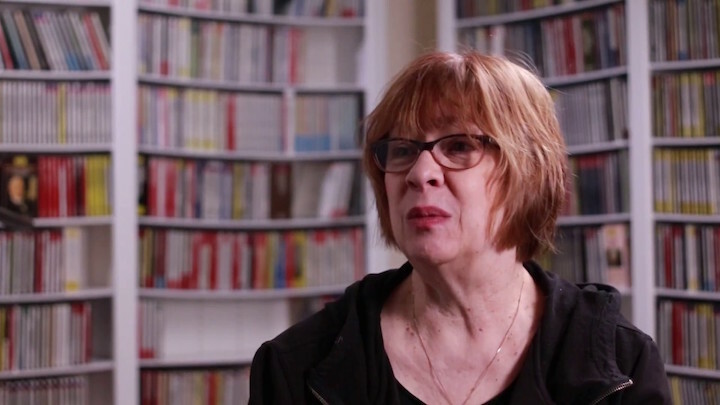 Norris has also worked in close relationship with the Boston Symphony Orchestra, at the Tanglewood Music Center, in the summers of 2014 and 2015. 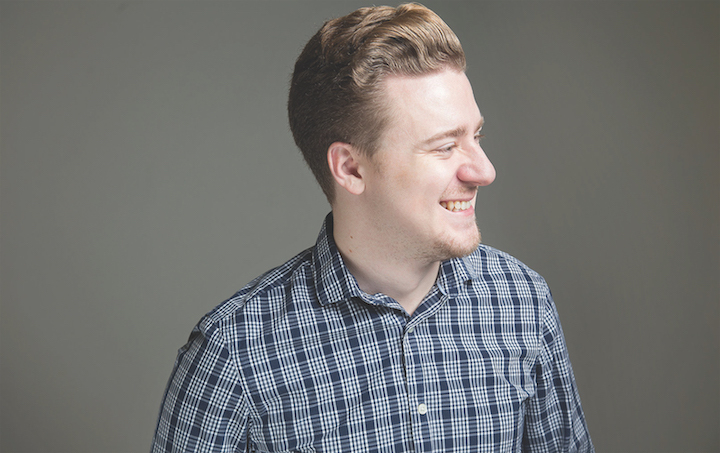 He says he is fascinated with the relationship between music and storytelling, and is currently exploring interesting formats of solo recitals to draw new connections between them. In a sense, this recital is an experiment, but one conducted with great love, care and curiosity. 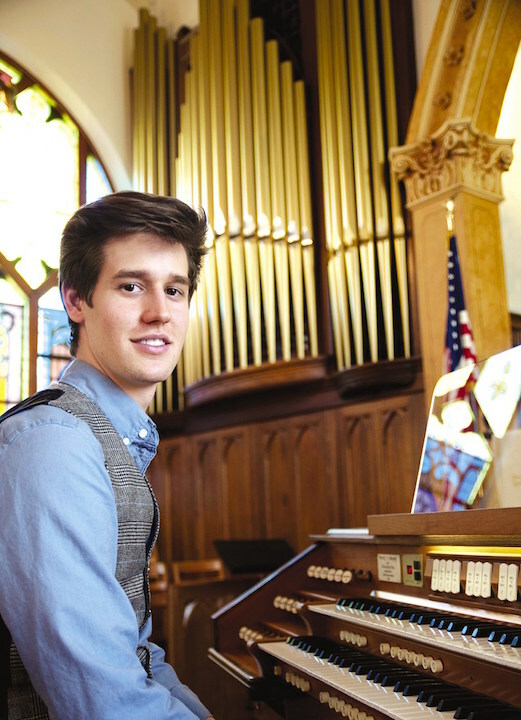 While in Madison, Ansel Norris said, he was lucky to participate in a number of the diverse opportunities available to young musicians. He was a three-year member of Wisconsin Youth Symphony Orchestra’s Youth Orchestra and a four-year, inaugural member of the Winds of Wisconsin. He was also a participant in the Madison Symphony Orchestra’s “Final Forte” was a winner of the Neale-Silva Young Artist Competition held by Wisconsin Public Radio. He was a devoted student of the UW-Madison’s recently retired professor of trumpet, John Aley (below), who to this day is one of his greatest inspirations. As he grows older, Norris says, he often reflects on what a special place Madison was to grow up in, and he looks forward to every chance he has to be home. 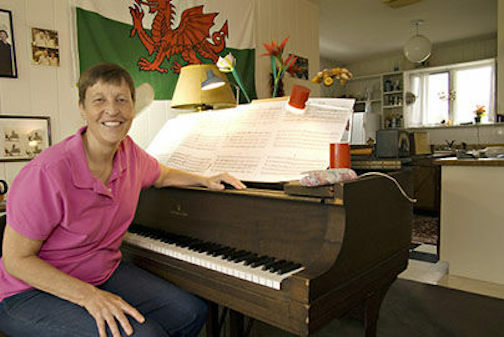 As an accompanist, Beth Wilson has collaborated with Bernhard Scully of the Canadian Brass; Diana Gannett of the University of Michigan-Ann Arbor; and Ansel Norris — with whom she is now reunited after seven years. 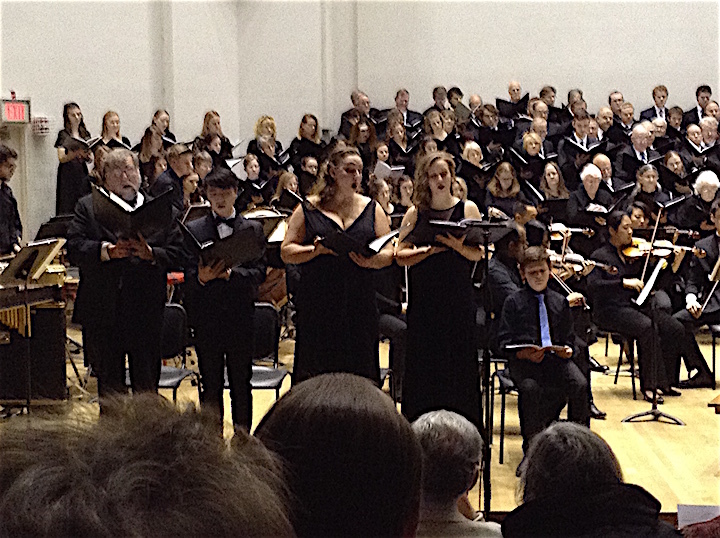 Eschewing any seasonal or holiday connections, the UW-Madison Choral Union (below) gave its December concert last Friday night with a program of three “B’s”. Well, two of the B’s are familiar ones. But in place of Bach, we got Leonard Bernstein, taking first place in reverse chronological order — his Chichester Psalms, dating from 1965. This three-movement work probably represents Bernstein’s most important choral score. 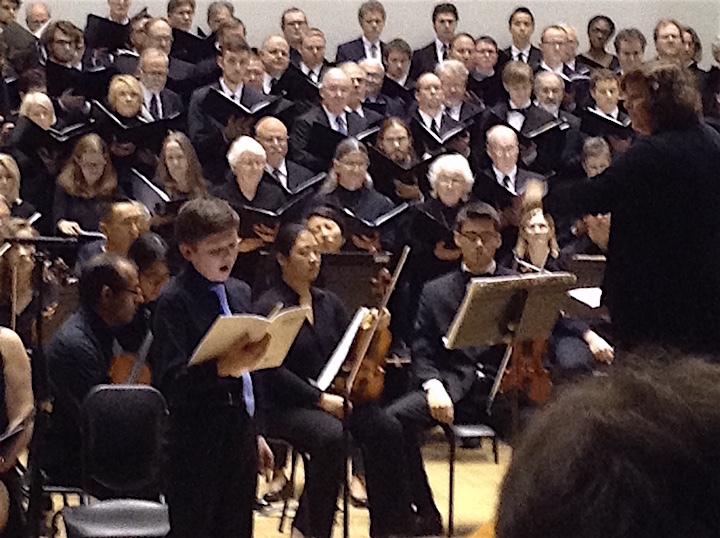 It sets texts in the original Hebrew, the middle movement calling for a boy treble to represent the young David in the rendering of Psalm 131 — a function here filled bravely by young Simon Johnson (below, front left) of the Madison Youth Choirs. The platoon of percussionists in the first two movements confirms the composer’s flashy “modernism.” To be sure, there are some characteristic melodic twists that proclaim the composer familiar to us, and the swaying melodic tune of the third movement is really lovely. But Bernstein (below) did not know what to do with it besides repeating it obsessively. 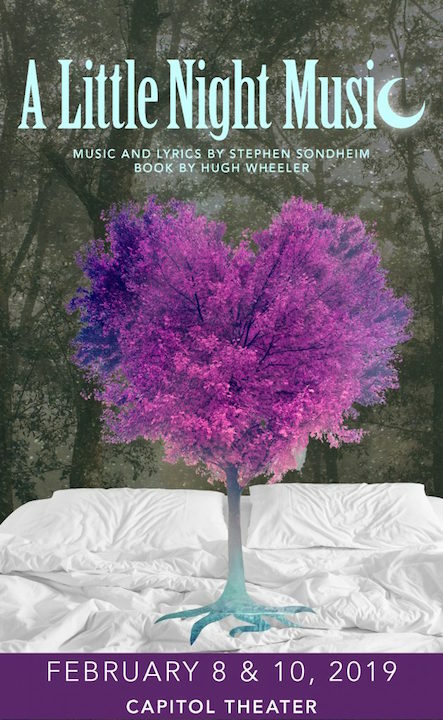 Bernstein simply was not a savvy master of choral writing, and I firmly believe that this work—a trivial cross between Igor Stravinsky’s Symphony of Psalms and Bernstein’s own Broadway musical West Side Story—would not merit much attention were it not for Bernstein’s name on it. 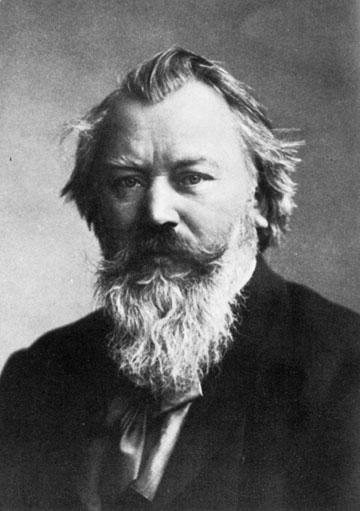 Just how inadequate Bernstein’s choral sense was emerged clearly with the next work, the short ode for chorus and orchestra by Johannes Brahms, Nänie, Op. 82. The title adapts a Greek word for a lament, and Friedrich Schiller’s German text evokes the death of beauty in the death of Achilles. Brahms was among the supreme choral masters, and this particular example is one of several of his “minor” choral works that we hear too rarely. The second half of the program was devoted to Ludwig van Beethoven’s Mass in C major, Op. 86. No, not the monumental Missa solemnis of the composer’s last years when (as with the Ninth Symphony’s finale) he had transcended the realities of choral writing. This earlier Mass setting, dating from 1807, was in the direct line of Mass settings for the Esterházy family composed by the aged Haydn. 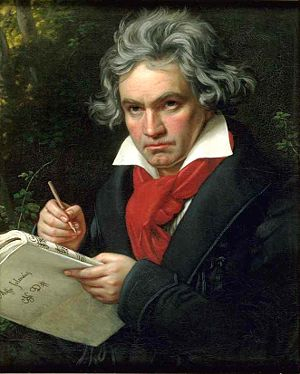 But to Haydn’s incorporation of symphonic structure into Mass composition, Beethoven (below) brought his own strongly progressive personality, and a remarkable quality of melodic and thematic invention. This is a lovely work, and choirs who fling themselves doggedly against the Missa solemnis ought sometimes to revel in this beautiful work instead. The forces arrayed included a solo quartet (below, in the front from left) are bass John Loud, tenor Jiabao Zhang and sopranos Jessica Kasinski and Anna Polum. The UW Chamber Orchestra proved able. But the star was, of course, the Choral Union chorus itself. Its diction worked from indistinguishable Hebrew through respectable German to really lucid Latin. Above all, it made mighty, full-blooded sound that bolstered Beethoven’s lyricism with powerful projection. 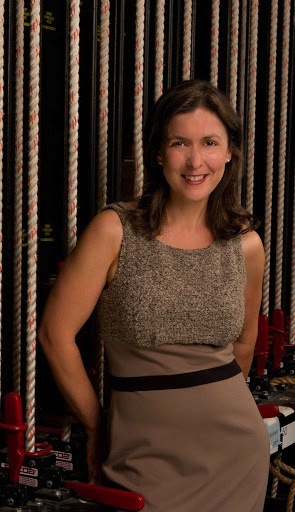 Once again, conductor Beverly Taylor (below) has gone beyond stale conventions to bring us valued exposure to music outside the conventional boundaries.